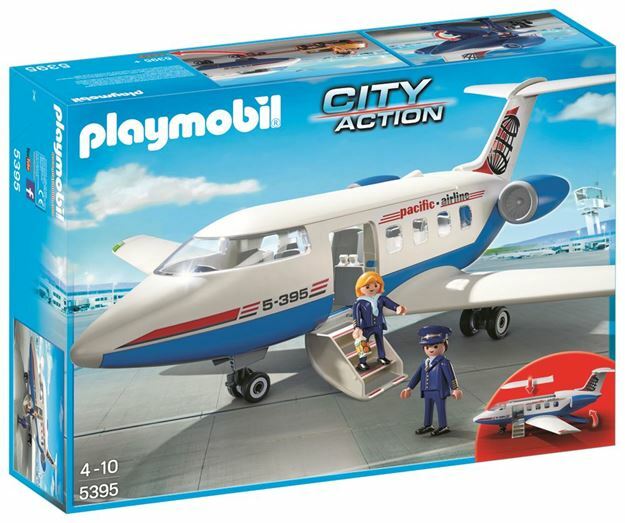 Children can enjoy imaginative play with the Playmobil Passenger Plane. Load the luggage into the rear of the plane while passengers board. Remove the roof to place the passengers and crew into their seats. The aeroplane has a capacity of seven figures and comes with refreshment accessories for the flight. Roll the plane onto the runway and you’re ready for take-off! Includes: a plane, 2 figures and accessories. Part of the City Action range. Age 4+ years. Distributed in New Zealand by Holdson.